How can I get the device driver/software for the 32011 Lap Counter Home Edition? 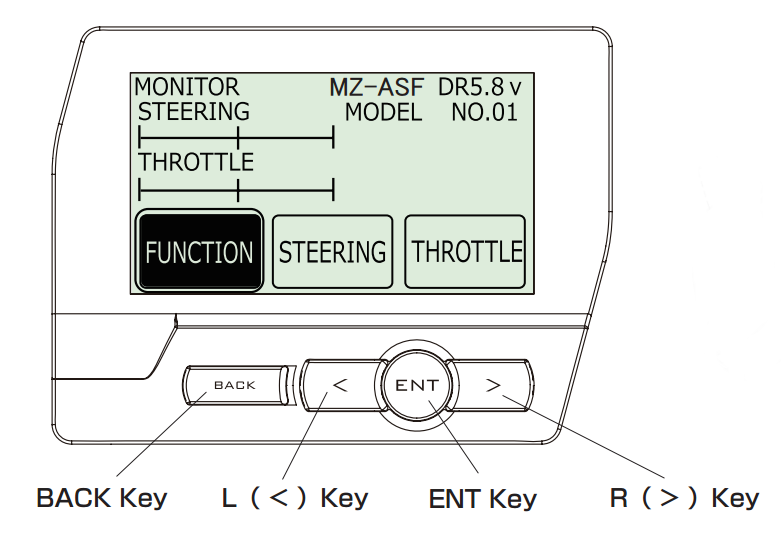 You might need to have the ESC of the MINI-Z Buggy VE 2.0 recognize the throttle end point for proper operation. 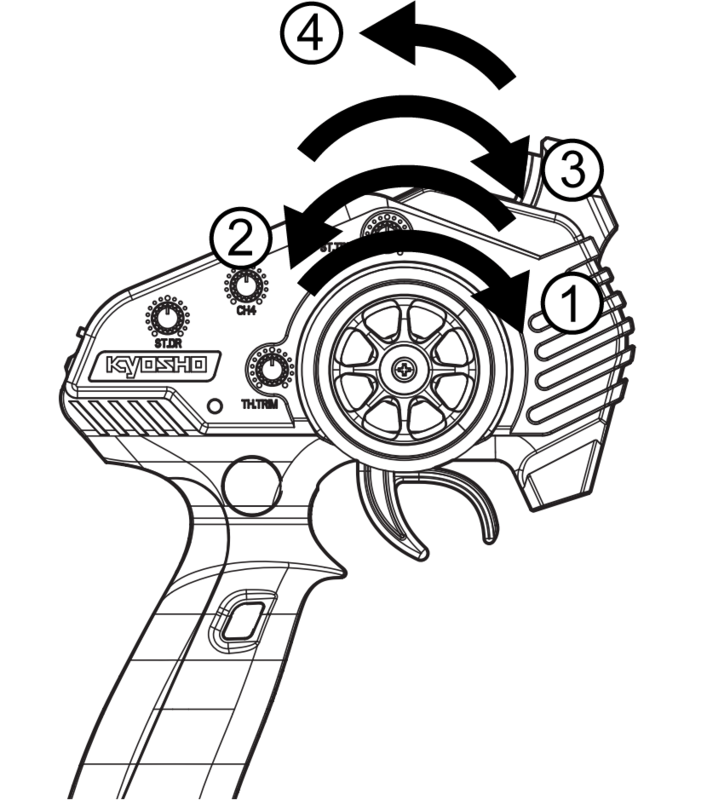 Set the throttle trim to the center and reset all throttle parameters of the transmitter. 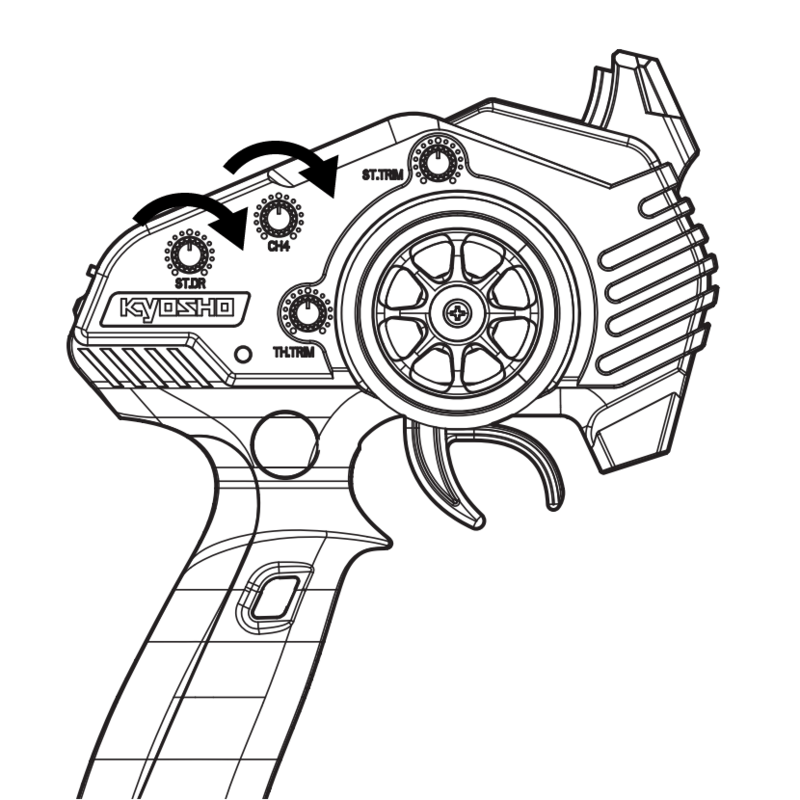 Push the throttle trigger to the full brake position and hold it. Turn on the chassis and wait a few seconds for a single beep. 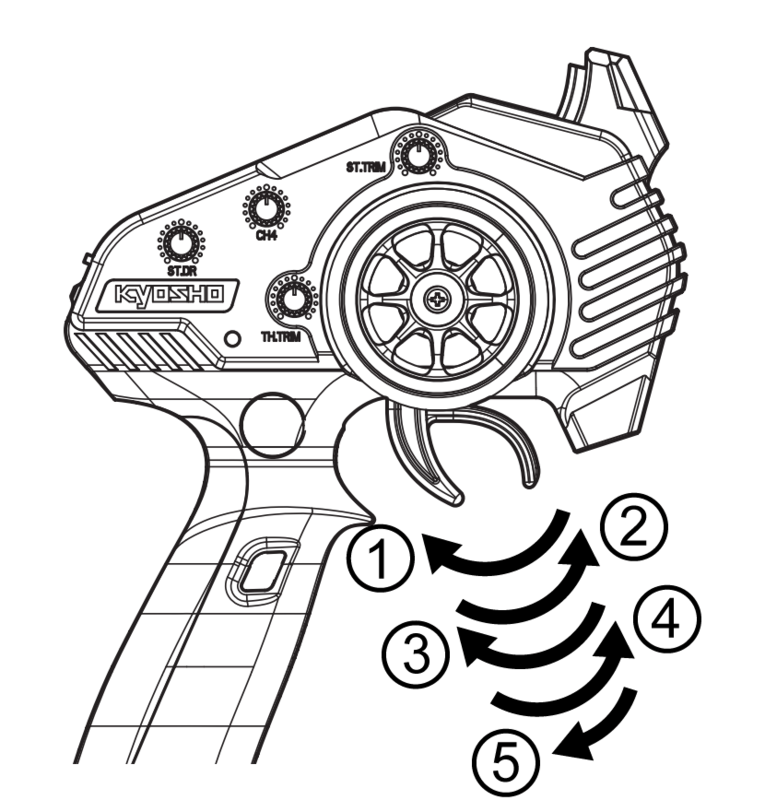 Immediately after the beep, pull the throttle trigger to the full throttle position and hold it. Calibration is done when you hear a double beep. If the gyro does not start to work after powering on the chassis, try putting the chassis on a flat surface for a few seconds. 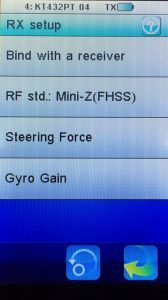 Especially the main board of the MINI-Z RWD and MINI-Z FWD is sensitive and it is strongly recommended to take your hands off the chassis during the gyro initializing process. 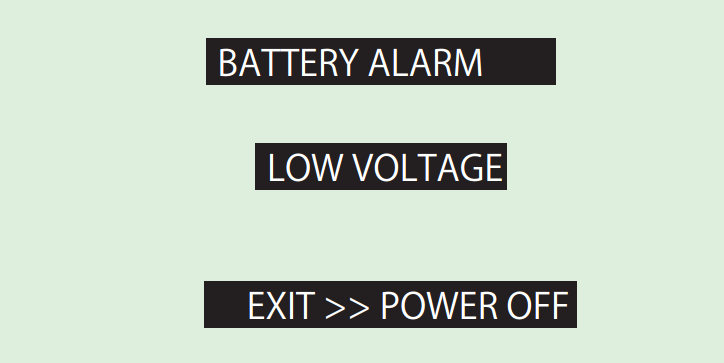 If you have set the wrong battery type and the EX-6/EX-6R displays “Battery Alarm Low Voltage” on the screen you can cancel it by pressing “BACK” key and you can set the correct battery type. How can I reset the Perfex KT-18 transmitter? Make sure that the steering wheel and throttle trigger are at the neutral position. Push and hold the backward trim button “B” and power on the transmitter. Hold “B” down until you hear a beep tone and the LED lights up. How can I reset the neutral position of MINI-Z Sports/RWD/FWD chassis? Make sure that the transmitter is powered off. Make sure that the steering trim knob is at the center. 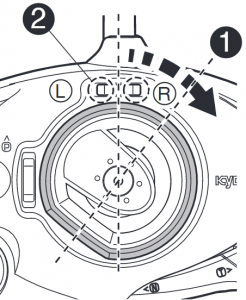 Set the front wheels to the center with your fingers. 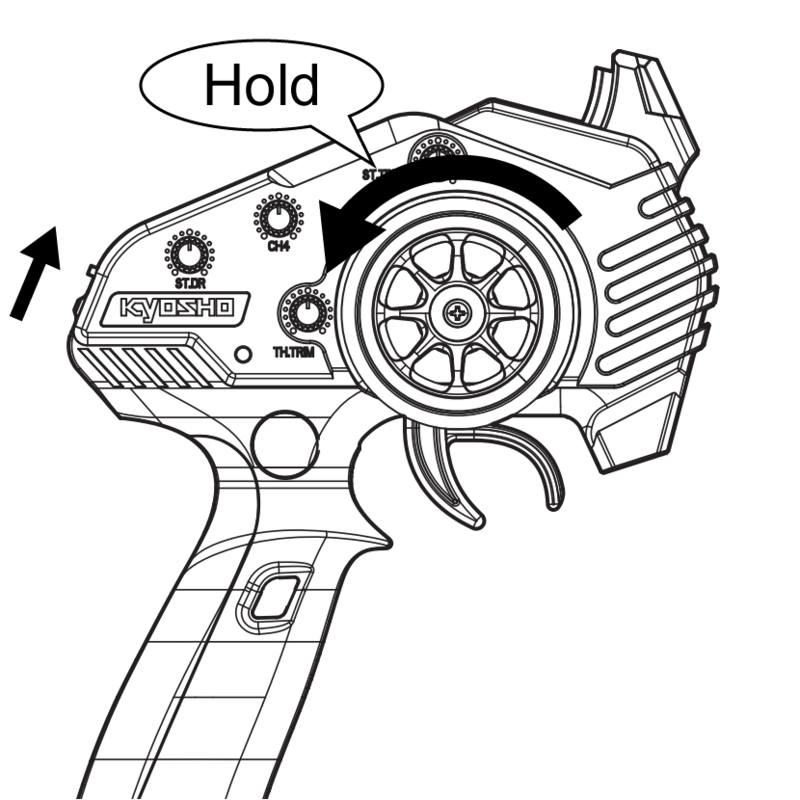 Push and hold the pairing button on the chassis for three seconds. Power on the transmitter. The neutral position should have been corrected. If not, repeat above steps. If you hear noise when you fully open the throttle and the MINI-Z VE does not accelerate smoothly, probably the battery is weak and do not supply sufficient power to the brushless motor. Please replace batteries or use fully charged Ni-MH batteries. We strongly recommend that you use Ni-MH batteries to enjoy the maximum performance of the VE models. How can I reset the Syncro KT-531P transmitter? 1. Set steering D/R trim and CH4 trim all the way to the left. 2. Power on the transmitter while turning the steering wheel all the way to the left, and then return it to neutral. 3. Turn steering from left – right – left – right, and then return it to neutral. 4. 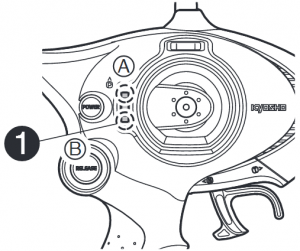 Turn throttle to forward – reverse – forward – reverse. 5. Set steering D/R treim and CH4 trim all the way to the right. Transmitter is now reset. 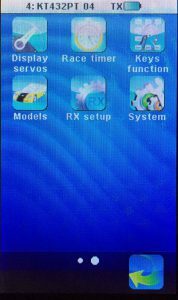 How can I reset the Perfex KT-19 transmitter? 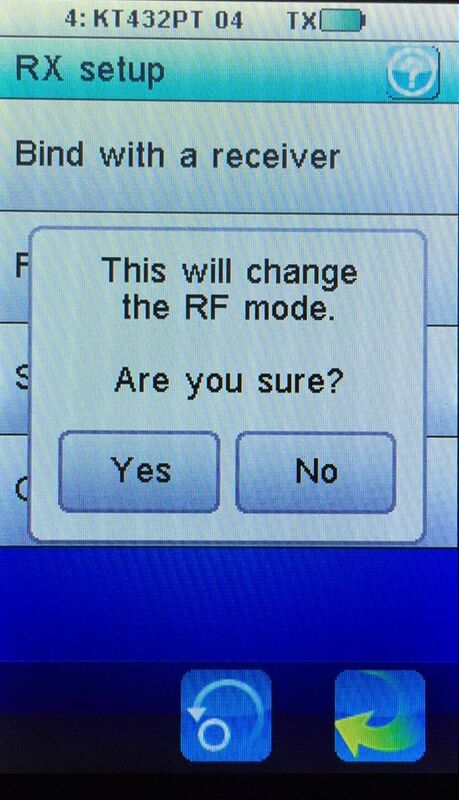 Turn off the transmitter if it is on. Turn the G.SPD L knob all the to the left. Position of G.SPD H knob does not matter. Turn the steering wheel all the way to the right and push the throttle to the full-brake position and hold them. Turn on the transmitter. The LED should flash rapidly; this means you are now in the factory mode. Release the steering wheel and throttle lever. Turn the steering wheel fully to the left, right, left and right, and then release it. Pull/push the throttle lever to full-throttle, full-brake, full-throttle, and full-brake, and then release it. Turn the G.SPD L knob to the right most position. The LED should become solid. 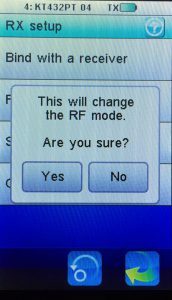 Turn off the transmitter and turn it on again. You are done. If your MINI-Z has the Chase Mode, it might have been activated. In order to deactivate it, long push the pairing button on the chassis until the LED blinks once. Refer to this link for more information about the Chase Mode. Please check if the motor wires are securely connected to the main board. Remove batteries from the chassis. Tighten the screws that connect motor wires to the main board. Remove the motor and check if the wheels and drive train are spinning freely. Note: do not touch the motor or poly switch while they are hot. Use a smaller pinion gear or a larger spur gear to reduce the load. There might be contact failure. Please try pushing the batteries to the positive terminals of the battery holder. The sensorless brushless system used in the MINI-Z VE models can show stuttering or cogging at very low speeds. In order to avoid stuttering or cogging, the lowest possible speed of the MINI-Z VE models is faster than brushed motor models. The sensorless brushless motor system used in the MINI-Z VE can stutter or cog at the low speed range and you don’t need to worry about the behavior unless it is too bad. 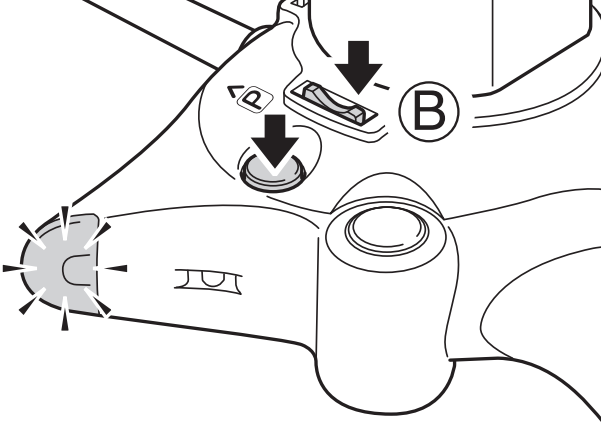 If you use the Perfex KT-18 transmitter, you can reverse or change back the throttle direction by press and hold the backward trim button, (1) in the diagram below, for about 3 seconds until you hear a short beep tone. turn the steering wheel to the right. press and hold the left steering trim button for about 3 seconds until the front wheels turn to the other direction. Where can I drive my MINI-Z? We strongly recommend that you stay indoors. Short haired carpets are great for both grip and drift driving. More slippery surfaces such as wooden floors or vinyl floors are OK for drifting but not ideal for grip driving unless they are very carefully cleaned. Some MINI-Z models such as MINI-Z Buggy and MINI-Z Monster can go outdoors but they should not be running on dusty, dirty or wet roads to avoid troubles. How fast can the MINI-Z go? Well, the top speed depends on models and settings including batteries, motors and gearing. For example, the MINI-Z MR-03 VE Pro, one of the fastest MINI-Z, can go about 35 km/h with the standard 8500KV brushless motor and 4 x AAA NiMH batteries. 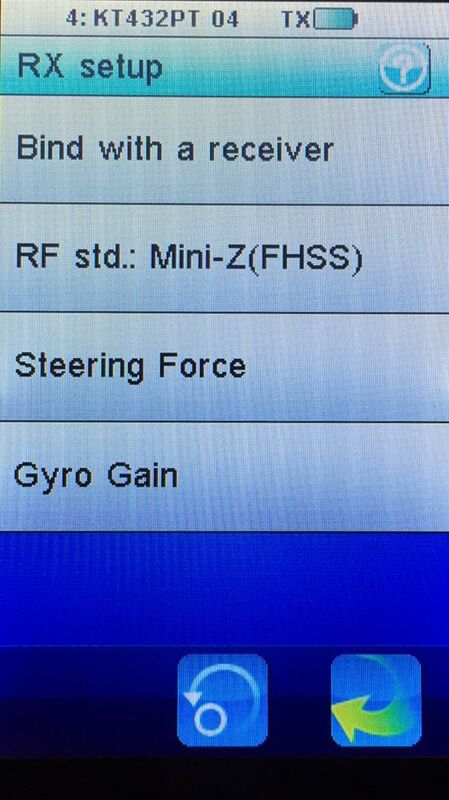 Can I drive my MINI-Z RWD/FWD with the Syncro touch KT432PT transmitter? Please make sure you use the latest firmware for the Syncro touch KT-432PT (version 201710 or newer), which can be downloaded from the Settings and Firmware/Software page. Then, select “Mini-Z(FHSS)” from the Set RF Standard (RF std. :) menu in the RX setup icon. 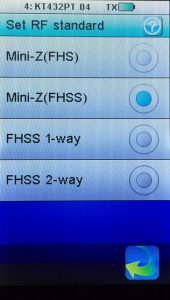 Is the FHSS protocol of the MINI-Z RWD/FWD compatible with KO Propo’s FHSS protocol used in EX-2 and EX-RR? No, MINI-Z RWD/FWD’s FHSS protocol is not compatible with KO Propo’s FHSS protocol, so you cannot drive your MINI-Z RWD or FWD using the EX-2 or EX-RR. Please refer to the Radio Compatibility Information page for more information.